Dr. Alexander wants to ensure his patients receive the best possible oral care, and he has invested in cutting-edge digital dental technology and patient communication systems. Intraoral Cameras allow us to take pictures inside your mouth and show you our findings. Nothing is more frustrating then when a dentist asks you to look into a mirror to“show you something”. Digital Photography that produces very fine, detailed professional quality photographs. 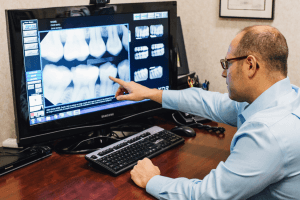 We use this technology to track subtle changes that not always detected on X-rays, as well as to facilitate meaningful discussions with our patients about their smile. 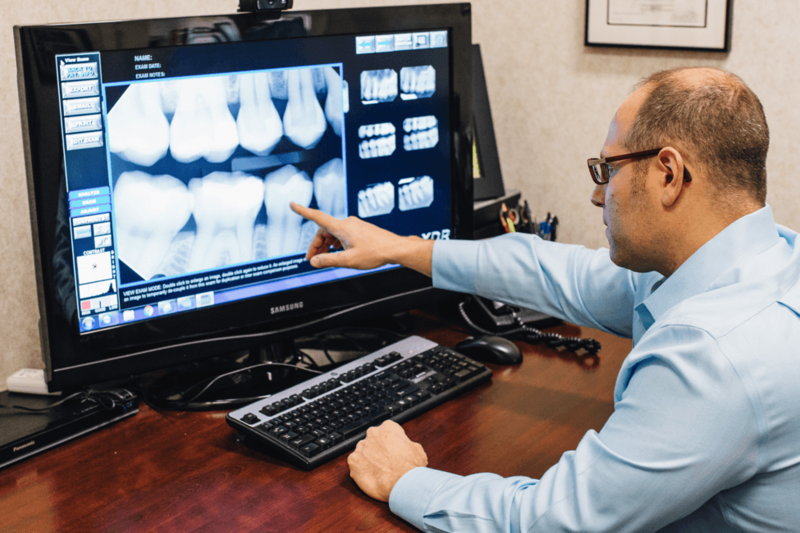 Panorex Digital X-Rays provide highly detailed, low-radiation images that allow Dr. Alexander to screen for potential diseases of the jaws, and areas surrounding the teeth. Air Abrasion is an innovative replacement of the traditional dental drill and allows us to conserve more of your natural tooth structure and reduce enamel micro-fractures. Lasers offer a minimally invasive alternative to traditional scalpel incisions and are ideal for minor gum procedures. This technology allows for very predictable, rapid healing and a more comfortable experience after a procedure. Magnification Loupes allow Dr. Alexander to magnify teeth several times for increased precision and accuracy during diagnosis and treatment. Smile Reminder allows us our patients to receive appointment reminders via text or e-mail, easily confirm the appointment with a touch or click, and add the appointment to their electronic calendar. Also, if appointment changes need to be made this can easily happen through Smile Reminder email or text messaging. Future applications of this service will allow for management of your account, tracking personal and insurance payments.